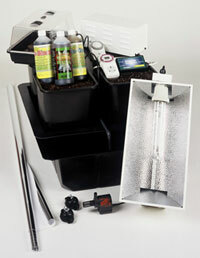 Due to increase in demand Esoteric Hydroponics are offering complete all-singing all-dancing grow kits. 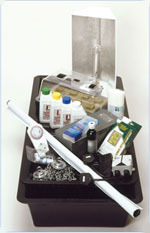 Illustrated below are seven complete ready-to-grow kits. These kits contain everything you need to grow from start to finish, including full instructions, and a set of fact sheets which covers all aspects of hydroponic gardening which should ensure your absolute success. Every kit has been well thought through to include all the essential bits and pieces for your convenience too maximise top results. 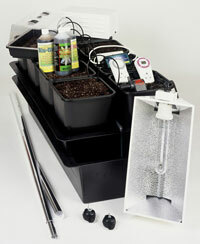 Now anyone can grow their favourite plants all year round in as little as 8 weeks from start to finish. 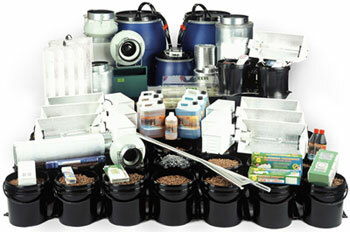 So if you're thinking of starting small or starting big, Esoteric Hydroponics has all and every type of kit. Kits based on the HydroPod(TM) system (all kits excluding the budget kits) are also available in deluxe versions. 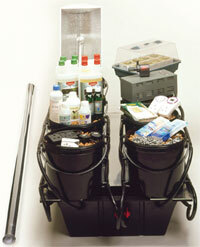 The deluxe kits have been upgraded from the HydroPod(TM) system to the recently introduced DetachaPod(TM) system. The deluxe kits therefore feature individually removable pods, simplifying cleaning and the transfer of plants between multiple systems. Kits excluding the budget kits can be upgraded to the DetachaPod(TM) system and the total cost is no more than purchasing a deluxe system. 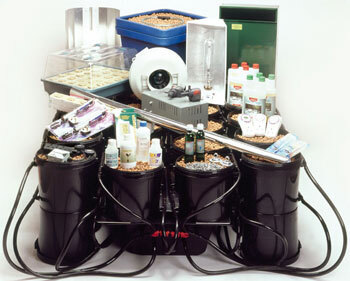 50 pod hydroponics flood and drain system (49 pod configuration shown in picture), 6 x 600W High Pressure Sodium Son-T-Agro lights, 6K contactor relay & timer, 2 x large heated variable propagators, 2 x four tube propagation lights, 4 pod mother plant hydro unit, 400 watt metal halide quality lightand contactor relay timer, 125mm lti extraction fan and bracket, 125mm carbon filter, 5 meters 125 ducting, 2 x padded collars 125, nutrients: 5 litres grow, 10 litres bloom, 1 litre bloom boost, trucheon nutrient meter & calibration fluid, water proof digital pH meter & calibration fluid, 1 litre pH up & 1 litre pH down, 2 x indestructable water heater, 250mm LTI extractor fan and bracket, 250mm Carbon filter, 250mm silencer, 5 meters 250 ducting, 3 x 250mm padded collars, 200mm LTI extraction input fan and bracket, 200mm silencer, 5 meters 200mm ducting, 2 x 200mm padded collars, ozone gnerator, growth gas genny CO2 injector and timer, digital themo / hygro min/max meter, clay pebbles & rockwool 144 one inch and 144 three inch, hook plates & hanging chain 5m, 6 sets of easy rollers light hangers, 50m mylar reflective sheeting. 50 pod hydroponics flood and drain system (49 pod configuration shown in picture) £1695, 6 x 600W High Pressure Sodium Son-T-Agro lights £1320, 6K contactor relay & timer £180, 2 x large heated variable propagators £210, 2 x four tube propagation lights £330, 4 pod mother plant hydro unit £170, 400 watt metal halide quality lightand contactor relay timer £190, 125mm lti extraction fan and bracket £140, 125mm carbon filter £120, 5 meters 125 ducting £15, 2 x 125mm padded collars £30, nutrients: 5 litres grow £35, 10 litres bloom £70, 1 litre bloom boost £20, trucheon nutrient meter & calibration fluid £95, water proof digital pH meter & calibration fluid £70, 1 litre pH up & 1 litre pH down £30, 2 x indestructable water heater £130, 250mm LTI extractor fan and bracket £270, 250mm Carbon filter £295, 250mm silencer £250, 5 meters 250 ducting £25, 3 x 250mm padded collars £45, 200mm LTI extraction input fan and bracket £220, 200mm silencer £250, 5 meters 200mm ducting £25, 2 x 200mm padded collars £30, ozone gnerator £225, growth gas genny CO2 injector and timer £245, digital themo / hygro min/max meter £45, clay pebbles & rockwool 144 one inch and 144 three inch £75, hook plates & hanging chain 5m £10, 6 sets of easy rollers light hangers £90, 50m mylar reflective sheeting £250. 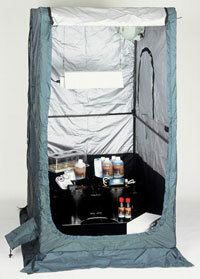 As above but with 2 x 24 deluxe HydroPod systems instead of 50 pod deluxe system. 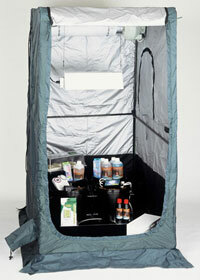 As above but with 2 x 24 standard HydroPod systems instead of 50 pod deluxe system. Pod system size: 1050mm x 1650mm x 300mm high. 24 pod hydroponic flood and drain system, 1 × 1000W high pressure sodium sont plus lights, contactor relay & timer, large heated propagator, 500W mother / propagation light, aqua farm mother plant hydro unit, nutrients: grow, bloom & bloom boost, digital nutrient meter & calibration fluid, digital pH meter & calibration fluid, pH up & pH down, 2 × water heaters, 150 LTI extractor fan, growth gas genny CO2 injector, digital thermo / hygro min / max meter, clay pebbles & rockwool, hook plates & hanging chain 5m, 20m mylar reflective sheeting. 16 pod hydroponic flood and drain system, 600W high pressure sodium sont plus light, contactor relay & timer, heated propagator, 250W mercury blend propagation grow light, nutrients: grow, bloom & bloom boost, digital nutrient meter & calibration fluid, digital pH meter & calibration fluid, pH up & pH down, digital themo / hygro min / max meter, water heater, clay pebbles & rockwool blocks, hook plates & hanging chain 5m, 10m mylar reflective sheeting. NFT 604 hydroponic system, 600w high pressure sodium sont plus light, contactor relay & timer, heated propagator, 250W mercury blend propagation grow light, nutrients: grow & bloom, digital nutrient meter & calibration fluid, digital pH meter, pH up & pH down, digital thermo / hygro min / max meter, water heater, rockwool blocks, hook plates & hanging chain 5m, 8m mylar reflective sheeting. 8 Pod hydroponic flood & drain system, 600W HPS sont agrow light, contactor relay & timer, heated propagator, nutrients: grow, bloom, & bloom boost, digital nutrient meter & calibration fluid, digital thermo / hygro min / max meter. pH meter, pH up & pH down, hook plates & hanging chain 5m, clay pebbles & rockwool, 6m of mylar reflective sheeting. NFT424 hydroponic system, 400W high pressure sodium sont plus light, contactor relay & timer, propagator, nutrients: grow & bloom, digital nutrient metre & calibration fluid, pH test kit, pH up & pH down, digital thermo / hygro min / max meter. rockwool matting & blocks, hook plates & hanging chain 5m, 6m black & white reflective sheeting. 4 Pod hydroponic flood & drain system, 400W high pressure sodium sont agrow light, contactor relay & timer, propagator, nutrients: grow, bloom & bloom boost, ph test kit, ph up & ph down, clay pebbles & rockwool blocks, hook plates & hanging chain 5m, 5m of mylar reflective sheeting. NFT 205 hydroponic system, 500W mercury blend grow light, timer, propagator, nutrients: grow & bloom, pH test kit, pH up & pH down, rockwool matting & blocks, hook plates & hanging chain 5m, 5m of black & white reflective sheeting. Wilma 4 pot drip system, digital timer, 1 x 50 litre sacks of biobizz all mix soil, 400 watt complete with relay and timer, biobizz grow, biobizz bloom, biobizz top max, easy rollers, propagator, jiffy sevens, 5 meters mylar sheeting. Wilma 4 pot drip system £95, digital timer £30, 1 x 50 litre sacks of biobizz all mix soil £20, 400 watt complete with relay and timer £230, biobizz grow £15, biobizz bloom £15, biobizz top max £25, easy rollers £15, propagator £10, jiffy sevens £5, 5 meters mylar sheeting £25. All kits come with an easy to follow 10,000-word full instruction manual. This kit can also be used as a template for when you might want to add to other kits or systems. Wilma 8 pot drip system, digital timer, 2 x 50 litre sacks of biobizz all mix soil, 600 watt complete with relay and timer, biobizz grow, biobizz bloom, biobizz top max, easy rollers, propagator, jiffy sevens, 6 meters mylar sheeting. 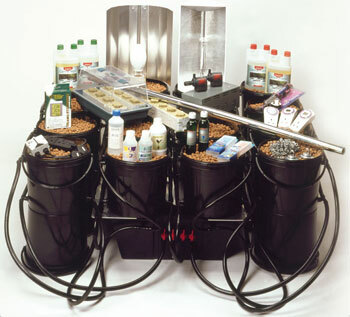 Wilma 8 pot drip system £125, digital timer £30, 2 x 50 litre sacks of biobizz all mix soil £40, 600 watt complete with relay and timer £270, biobizz grow £15, biobizz bloom £15, biobizz top max £25, easy rollers £15, propagator £10, jiffy sevens £5, 6 meters mylar sheeting £30. 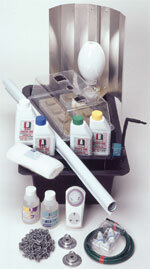 The greenroom provides the essential requirements for every indoor horticultural grower. The greenroom has been designed in conjunction with hydroponic experts and growers alike over a number of years to ensure it meets the needs of every enthusiastic grower. 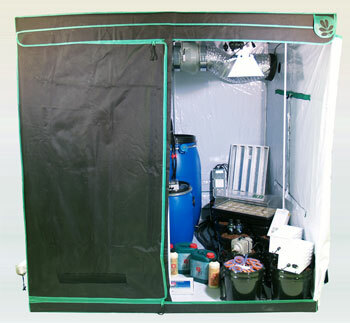 Click here for more info or to buy the Greenroom tent seperately..
Greenroom, wilma 4 pot drip system, digital timer, 1 x 50 litre sacks of biobizz all mix soil, 400 watt complete with relay and timer, biobizz grow, biobizz bloom, biobizz top max, easy rollers, 125mm lti extraction fan and bracket, propagator, jiffy sevens, 5 meters mylar sheeting. Greenroom £225, wilma 4 pot drip system £95, digital timer £30, 1 x 50 litre sacks of biobizz all mix soil £20, 400 watt complete with relay and timer £230, biobizz grow £15, biobizz bloom £15, biobizz top max £25, easy rollers £15, 125mm lti extraction fan and bracket £135, propagator £10, jiffy sevens £5, 5 meters mylar sheeting £25. Greenroom, wilma 8 pot drip system, digital timer, 2 x 50 litre sacks of biobizz all mix soil, 600 watt complete with relay and timer, biobizz grow, biobizz bloom, biobizz top max, 150mm lti extraction fan and bracket, easy rollers, propagator, jiffy sevens, 6 meters mylar sheeting. Greenroom £225, wilma 8 pot drip system £125, digital timer £30, 2 x 50 litre sacks of biobizz all mix soil £40, 600 watt complete with relay and timer £270, biobizz grow £15, biobizz bloom £15, biobizz top max £25, 150mm lti extraction fan and bracket £145, easy rollers £15, propagator £10, jiffy sevens £5, 6 meters mylar sheeting £30. 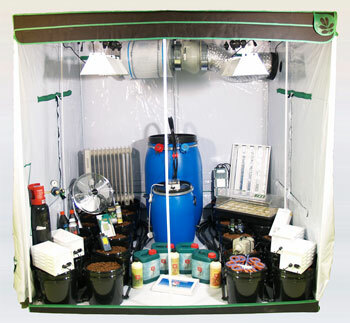 Greenroom, 4 pod hydroponic flood & drain system, 400W High Pressure Sodium Son-T-Agro light, contractor relay & timer, propagator, nutrients: grow, bloom & bloom boost, pH test kit, pH up & pH down, digital cf meter and calibration solution, 125mm lti extract fan and bracket, clay pebbles & rockwool blocks, easy rollers. Greenroom £225, 4 pod hydroponic flood & drain system £170, 400W High Pressure Sodium Son-T-Agro light, contractor relay & timer £230, propagator £10, nutrients: grow, bloom & bloom boost £45, pH test kit £5, pH up & pH down £10, digital cf meter and calibration solution £60, 125mm lti extract fan and bracket £140, clay pebbles & rockwool blocks £10, easy rollers £15. Pod system size: 700mm x 600mm x 450mm high. Greenroom, 4 pod hydroponic flood & drain system, 400W High Pressure Sodium Son-T-Agro light,contractor relay & timer,heated propagator, nutrients: grow, bloom & bloom boost, digital pH meter and calibration solution, pH up & pH down, digital cf meter and calibration solution, 125mm lti extract fan and bracket, 125 carbon filter, padded collar, min max themo hydrgro meter, clay pebbles & rockwool blocks, easy rollers. Greenroom £225, 4 pod hydroponic flood & drain system £170, 400W High Pressure Sodium Son-T-Agro light,contractor relay & timer £230,heated propagator £35, nutrients: grow, bloom & bloom boost £45, digital pH meter and calibration solution £60, pH up & pH down £10, digital cf meter and calibration solution £60, 125mm lti extract fan and bracket £140, 125 carbon filter £120, padded collar £15, min max themo hydrgro meter £45, clay pebbles & rockwool blocks £10, easy rollers £15. Greenroom, 8 pod hydroponic flood & drain system, 600W High Pressure Sodium Son-T-Agro light contractor relay & timer, propagator, nutrients: grow, bloom & bloom boost, pH test kit, pH up & pH down, digital cf meter and calibration solution, 150mm lti extract fan and bracket, clay pebbles & rockwool blocks, easy rollers. Greenroom £225, 8 pod hydroponic flood & drain system £270, 600W High Pressure Sodium Son-T-Agro light contractor relay & timer £270, propagator £10, nutrients: grow, bloom & bloom boost £45, pH test kit £5, pH up & pH down £10, digital cf meter and calibration solution £60, 150mm lti extract fan and bracket £145, clay pebbles & rockwool blocks £20, easy rollers £15. Pod system size: 1200mm x 700mm x 450mm high. 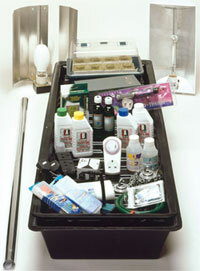 The greenroom provides the essential requirements for every indoor horticultural grower. 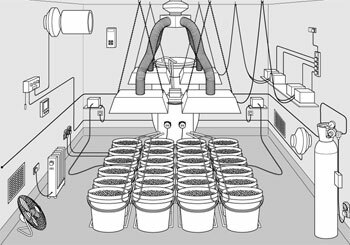 The greenroom has been designed in conjunction with hydroponic experts and growers alike over a number of years to ensure it meets the needs of every enthusiastic grower. 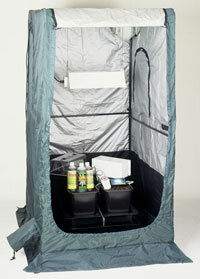 Click here for more info or to buy the Greenroom tent seperately..
Greenroom, 8 pod hydroponic flood & drain system, 600W High Pressure Sodium Son-T-Agro light, contractor relay & timer, heated propagator, nutrients: grow, bloom & bloom boost, digital pH meter and calibration solution, pH up & pH down, digital cf meter and calibration solution, 150mm lti extract fan and bracket , 150mm carbon filter, padded collar 150mm, min max themo hydrgro meter, clay pebbles & rockwool blocks, easy rollers. Greenroom £225, 8 pod hydroponic flood & drain system £270, 600W High Pressure Sodium Son-T-Agro light, contractor relay & timer £270, heated propagator £35, nutrients: grow, bloom & bloom boost £45, digital pH meter and calibration solution £60, pH up & pH down £10, digital cf meter and calibration solution £60, 150mm lti extract fan and bracket £145, 150mm carbon filter £160, padded collar 150mm £15, min max themo hydrgro meter £45, clay pebbles & rockwool blocks £20, easy rollers £15. Big Mamma Grow Tent £475, 24 multi pod flood and drain system and clay pebbles £895, four 400 watt quality high pressure sodium son-t-agro lights £720, 6k contactor relay and timer £180, 250mm lti extraction fan and 250mm carbon filter £475, ozone generator £225, unis co2 regulator £225, co2 bottle £150, oil filled radiator £70, floor mounted fan £55, constant check pH meter £85, constant check EC meter £85, calibration solutions £10, digital min/max thermo/hygro meter £45, 24 super charged turbo aeration system £295, analog timer £10, 4 sets of easy rollers £60, large heated propagator £65, four tube propagation light £155, five metres 250mm ducting £30, two 250mm padded collars £40, nutrients: 5 litres grow £35, 5 litres bloom £35, 1 litre bloom boost £20, box of shooting powder £35, 500ml root excelurator £65, 1 litre pH up £15, 1 litre pH down £15, 1 litre multi enzym £20, 1 litre formulex £10, 1 pint superthive £45, 1 litre of bud xl £30, rockwool 77 one inch £10 and 48 three inch £20, hanging chain 5m £5. 2m x 2m x 2m Reservoir volume: 220 litres.